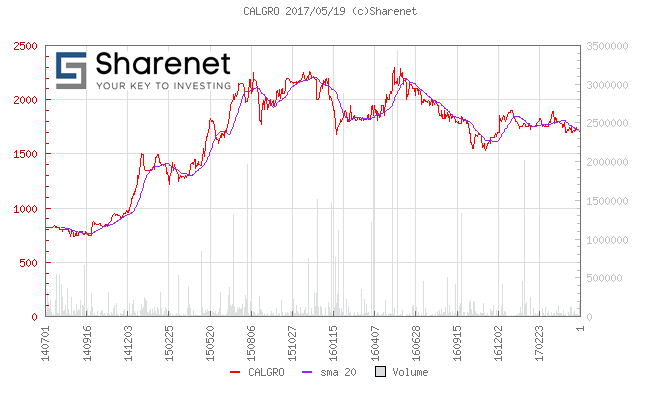 The past year has been a challenging one for the construction sector, but amidst these tough trading conditions, Calgro has seen revenue increase 29.12% to R1.6 billion (2016:R1.2billion). NAV per share was up 23.78% to 798.35 cents (2016: 645.00 cents), and operating profit grew by 42.5 % to R228 965 million (2016: R160 - 167 million). A hands-on cash-flow management approach has resulted in cash increasing significantly by 200.69% from the previous year. Cash on hand increased to R240.8 million (2016: R80.1 million). Calgro M3 is a property developer, focused on the lower end of the residential market. They are involved in large scale integrated developments, real estate investments (rental units) and the development and establishment of private memorial parks. The Group has strategically repositioned itself in anticipation of tough economic conditions by diversifying into other sectors within the Integrated Residential Development business, as well as Memorial Parks and the Real Estate Investment Trust. This was done to ensure that risk is optimally mitigated and managed in these uncertain times, setting a solid foundation for future growth. In late 2016, Calgro joined forces with SA Corporate Real Estate to build "what we believe is set to become one of the biggest residential Real Estate Investment Trusts in South Africa in the coming five to six years, with a planned asset base of R10 billion to R15 billion." This will yield annuity income to the Group in future which will stabilise the "lumpy" cash flows generally associated with property development. Over the last three years, the share price has seen a remarkable return of 114%. "The focus for 2016 was on ensuring the effective roll-out of the current project pipeline, rather than growing it. While we might not have added a lot of projects to the pipeline in the current year, we have invested time in exploring new ground-breaking projects that will pave the way for future growth," says CEO, WJ Lategan. "Going forward, we acknowledge that there will be a tightening of spend across the economy; however, the need for housing and rental opportunities is vast; and given the strong pipeline, Calgro M3 remains confident that the business remains in a strong position to continue to sell housing, while at the same time growing the rental business."